Hello, foodies! It's a long long time I didn't post anything in my blog. I apologize prefusly to all my loyal visitors. Just in case I'll tell you that now, I'm a colleger!! Taraahh :D I'm a colleger in Sekolah Tinggi Teknik Surabaya (STTS) which located in Ngagel areas, Surabaya. There I'm studying my first bachelor degree majoring in informatics. Sure, I'm in love with technology so damn much! Actually I want majored in electro but finally I decided to take the informatics one after a lot of consideration. There, Since August I've started my students orientation (in my campus called by PK : Pekan Kampus). There're a lot of good and bad memories there. The good one that I found my another family there, my warm friendship, after a lot of long winding road around PK's sessions. I'm being so busy to do my student orientation and some side-jobs (as you know I have an online shop and some coaching job now). They would be the only two reasons why I don't have time to make any post recently. I'm so sorry (again) :'( So in this post I would make another review. This time I'm not going to talk about food, but something interesting beside food. 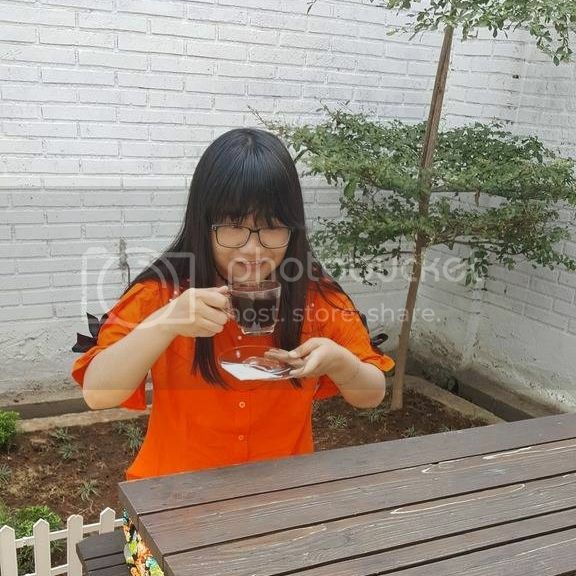 About a few days ago I got a called that said if I got the opportunity to get a "Takoyaki Maker" from an event that I joined some weeks ago in instagram. And tonight, the machine came to my house. As a regard to those who gave me that machine, I should be posting at least a picture on my instagram account (@Chippeido). Here I'll give you some photos about the machine and my short opinion about it, keep reading guys! 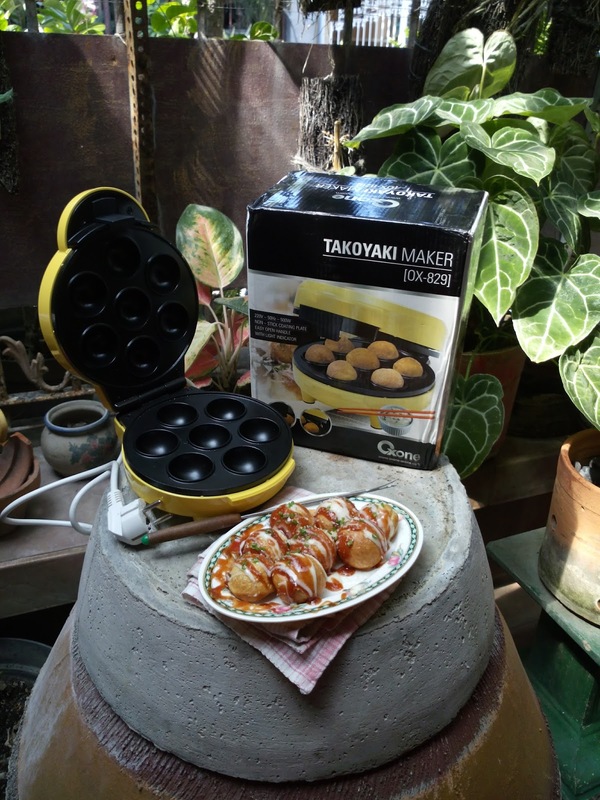 Takoyaki maker Oxone - OX-829 • takoyaki maker uses electricity • Practical and easy to use • Power: 220v / 50Hz / 500watt • Official Oxone 1 year warranty • It consists of 7 holes takoyaki • Diameter pan overall: 15.5cm • Weight of goods: 1.6kg • Indicator Lights • Non-Stick Coatings • Easily opened and closed again *source from OXONE Today I tried to use this product, because I've been sooooo dizzy with my mid-exam test, and because this product's interesting enough to be tried. And what about the result...? WOW! I love this product! I can make takoyaki easily. At first, I didn't know how to use it (because I didn't read the instruction well :b) and I got a half ball of takoyaki. Then after the second try.. (you can see from the GIF picture bellow) I got it! I got a perfect takoyaki with a very easy way. Here are my thoughts about this product : **Advantages** (+) Can help to cook a perfect (ball) of takoyaki(s) without having to pick it to make it perfectly round (+) Only took 500W to use this machine **The shortcomings** (-) I still can feel the heat on the handle, so I still should use cooking gloves to open and close the machine during it's cooked time. kalau boleh tau berapa harganya ?